Few industries in the world have as many implications on society than energy. Staying on top of the trends and developments that occur in the world of gas, oil, and electricity is an important job of many consultants and investors. However, realizing what is going on in the energy industry and how events led the world to a specific point is always important and compelling information for everyone. While news reports, podcasts, and some websites can be helpful in getting updates, energy books are one of the best ways to get some in-depth information and little known details related to the field. Getting information via a number of electronic sources is a quick and efficient way of glossing over the highs and occasional lows of any type of industry. Because of limited time and page space, topics are introduced and reported on quickly. These types of informative sources are designed to be hard hitting and easily consumed. The downside of these types of reports is that the details get lost in the current facts, because of the nature of the programs. Historical significance and future paths are often left to future reports, but there is a better place to get information on energy. Books offer a unique experience for the reader, because the medium has the ability to delve deep into a topic. That depth provides pages full of insights and supporting facts, which is a big benefit for anyone wanting to learn the finer points of energy. Global politics, consumption, and conservation are all significant in the world of energy. Therefore, anyone looking for a total package of education and informational value is often better served to pick up one of the many books written by industry experts on the topics. Many of the experts that take to writing books incorporate the inside knowledge gained from years of experience in the field. 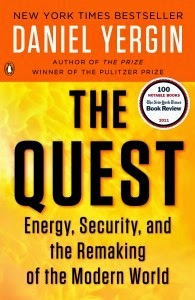 Of course, the major advantage of books dedicated to energy related topics is the author. By drawing on inspiration and experience gained from working directly in a given field, the writer can convey jargon, history, and more effectively. From the coal mines of the past to the solar panels of the future, industry experts have a unique perspective. Instead of being limited to a few minutes on the air or a short interview, the experts have the ability to clearly spell out thoughts on a number of pages to truly get their message across. Plus, the writers get the opportunity to break new ground by telling stories and drawing comparisons, and in an industry as important as energy, learning from the past to prepare for the future is a pivotal lesson. In short, getting information is a simple task in the modern world with technology making it more accessible than ever before. While electronic media outlets, like websites and television, are important, the general time restriction place on them works against anyone looking for in-depth information. Books might be a low tech method of getting information, but print offers an expert with years of experience the ability to explain trends, paths, and discoveries. Books offer the ideal landscape for ideas to be uncovered, discussed, and shared simply because the format allows for even the tiniest of details to be brought to the surface.